Remember the Chia pet? Those adorable terracotta pots shaped like animals or people covered with chia seeds and when the seeds sprout, they look like they have grown hair or fur. Fortunately, the use of Chia seeds has evolved past the fun of a hair growing pet and is now becoming a popular health food staple. Chia seeds are a traditional food in Central and South America and have been grown in Mexico dating back to Mayan and Aztec cultures. “Chia” means strength, and folklore has it that these cultures used the tiny black and white seeds as an energy booster. However, these nutrient rich seeds can also enhance the strength of your bones. Not only do chia seeds provide the richest vegetable source of omega-3 fatty acids, they also provide 13 of the 21 bone building nutrients essential for proper bone formation and metabolism. Ounce for ounce chia seeds have twice the protein of any other seed or grain, five times the calcium of milk, more omega 3 fatty acids than salmon, and more anti-oxidants than blueberries. They also are rich in the critical bone building minerals phosphorous, magnesium, manganese, zinc, boron, selenium, copper and potassium. In addition, chia seeds can assist the body’s absorption of fat soluble vitamins such as vitamins A, D, E and K. The soluble fiber in chia seeds is a prebiotic, meaning that it feeds good bacteria, which are so important in maintaining a healthy gut. I honestly can’t think of another food that provides so many of these important nutrients needed to build strength in our bones. 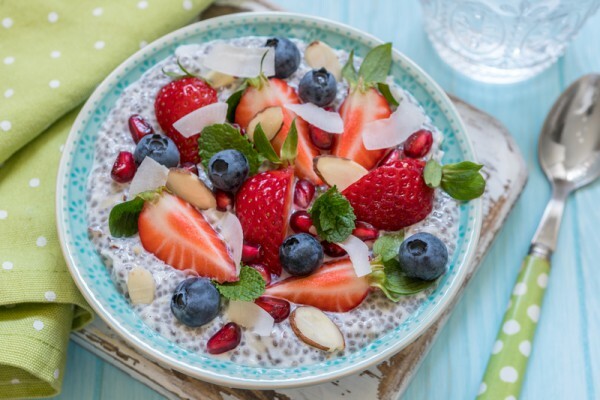 Emerging research suggests that including chia seeds as part of a healthy diet may help improve cardiovascular risk factors such as lowering cholesterol, triglycerides and blood pressure. (1,2) Chia seeds may also be helpful in regulating blood sugar levels. (3,4) These seeds also contain many powerful antioxidants that fight inflammation and reduce the risk of chronic disease. Chia seeds can be sprinkled over salads or cereal, stirred into yogurt or incorporated into almost any recipe. There are an increasing number of products containing chia seeds, including granola bars, cereals, crackers, and beverages. The most popular way to use chia seeds is to blend them into your smoothies. The seeds absorb liquid when soaked and form a gelatin that can make a nutritious pudding. The seeds have a mild nutty flavor so they can be mixed into just about any food or beverage without changing the taste. Below is my favorite basic chia pudding recipe. You can add fruit to the recipe while making it, or top with fruits and nuts before serving. Mix or blend coconut milk, vanilla and maple syrup together. Add chia seeds and mix well. Chill for at least 4 hours or overnight, stirring at least once.Dish out the pudding, top with fruit of your choice and sprinkle with nuts.For variety, you can blend in fruit or mix in the fruit before chilling. As well as manganese, selenium, boron, zinc, copper and potassium. Contact me to learn more ways to incorporate healthy, bone nurturing foods into your diet! 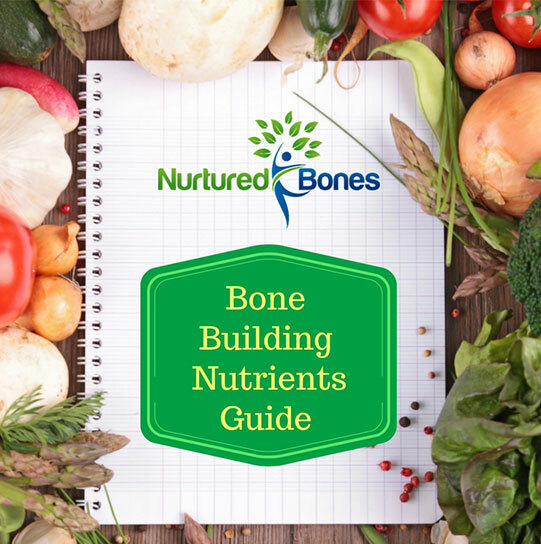 Join a community of women dedicated to aging vibrantly and receive a newsletter rich in information on how to build strong healthy bones for life.